Heavy psych freaks ECSTATIC VISION share « Under The Influence » album in full ; out May 4th on HPS Records. Philadelphia psyched-out freaks ECSTATIC VISION are premiering their mind-blowing ’70s cover album « Under The Influence » in its entirety before its release this Friday on Heavy Psych Sounds Records. 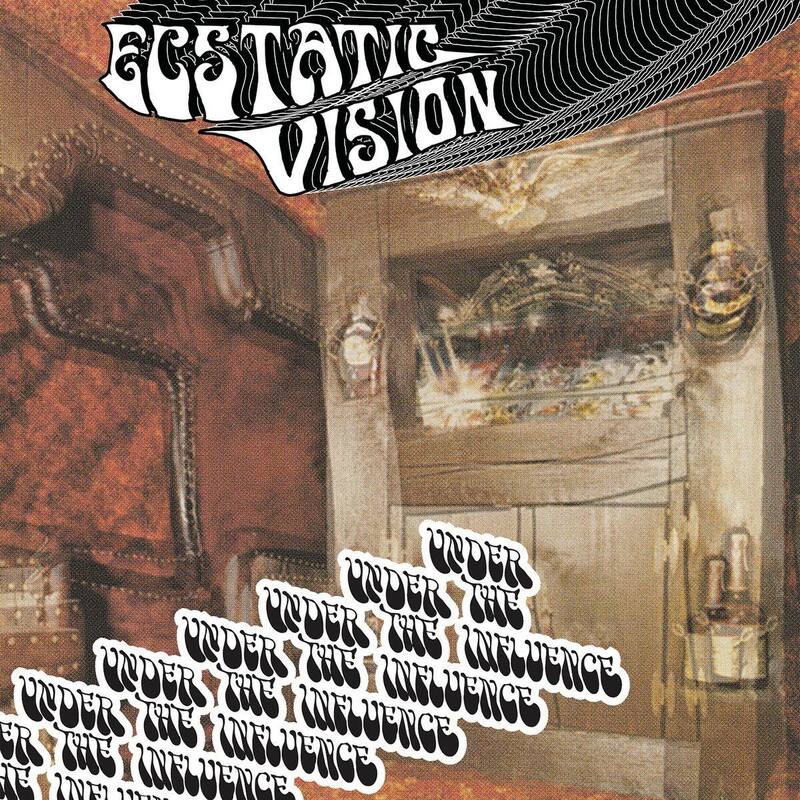 ECSTATIC VISION unleash « Under The Influence », a collection of six raw, fuzzy, psychedelic slabs of cosmic rock. « Under The Influence » sees the band covering tracks by some of their biggest influences: the primitive stoner doom sounds that came out of Zambia in the early/mid 70s that is known as Zam Rock, the godfathers of space rock Hawkwind and the early kings of Detroit rock’n’ roll MC5, all delivered with ECSTATIC VISION’s signature bone-crushing, blown-out in-all-the-right-ways recording style. « Under The Influence » will be released as Limited Transparent Splatter Black/Red/Green vinyl, Black vinyl, CD and digital. French post-sludge unit LOS DISIDENTES DEL SUCIO MOTEL debut new album « Human Collapse » exclusively on Terrorizer. Austin rock’n’rollers DUEL stream « Live At The Electric Church » in full on The Obelisk; out this Friday on Heavy Psych Sounds! Crowbar, Ramesses, Trouble and more confirmed to play third DOOMED GATHERINGS festival in Paris! DESERTFEST BELGIUM: dates and first announcement! Heavy rock trio MOS GENERATOR to tour Europe this fall; announce support shows with Saint Vitus!